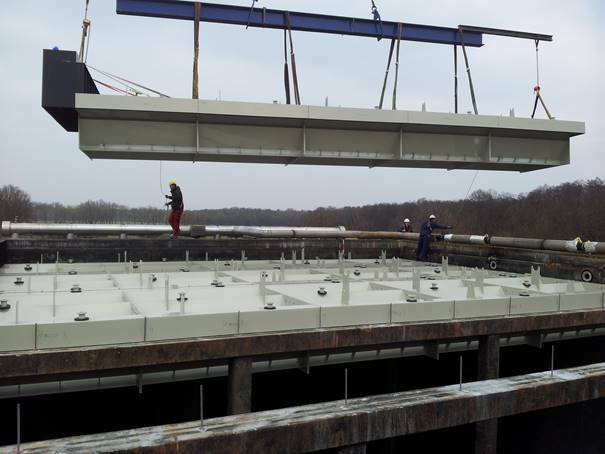 HydroThane STP refurbished the Upflow Anaerobic Sludge Bed Blanket (UASB) treatment plant from the 1990’s at Aviko Lomm, The Netherlands. The UASB plant have been operating for more than 20 years and to guarantee further safe and sustainable operation-refurbishment was a necessity. 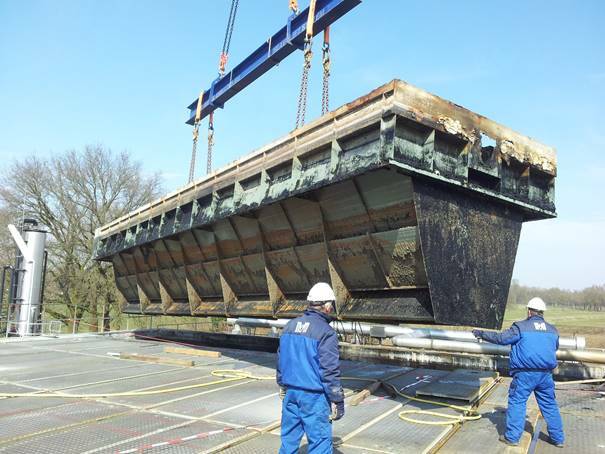 The steel coated internals of the UASB were corroded after 20 years of operation – which causes all kinds of operational, safety and maintenance problems. 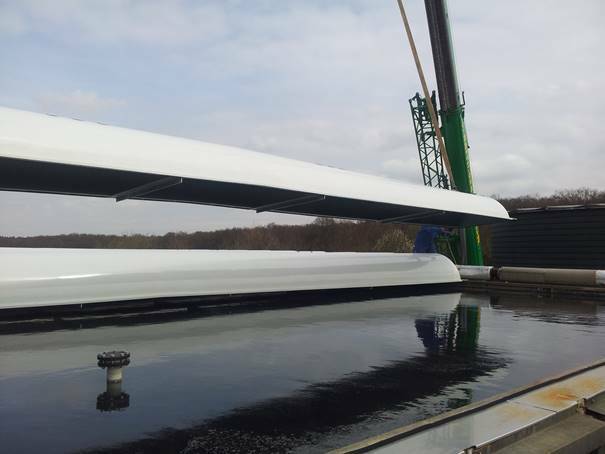 The plant was losing capacity – washing out of granular biomass – biogas emissions were causing unsafe situations and floating layers had to be removed all the time in the old situation. The out of operation time for the UASB was only 2 weeks in total for this complete refurbishment, from the moment of shut down to the moment of (re-)start-up (full capacity). 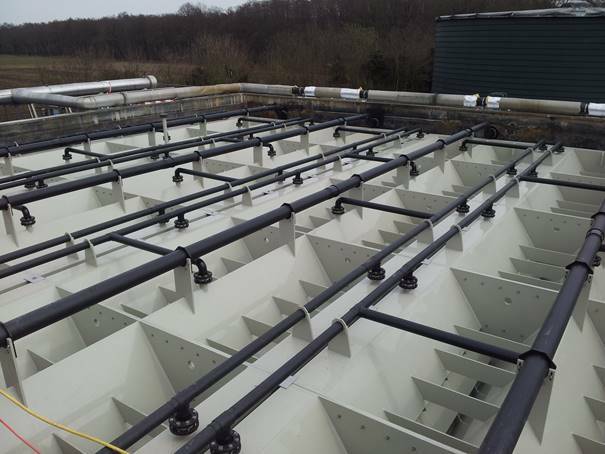 Please contact us for more information about refurbishment of your anaerobic reactor.